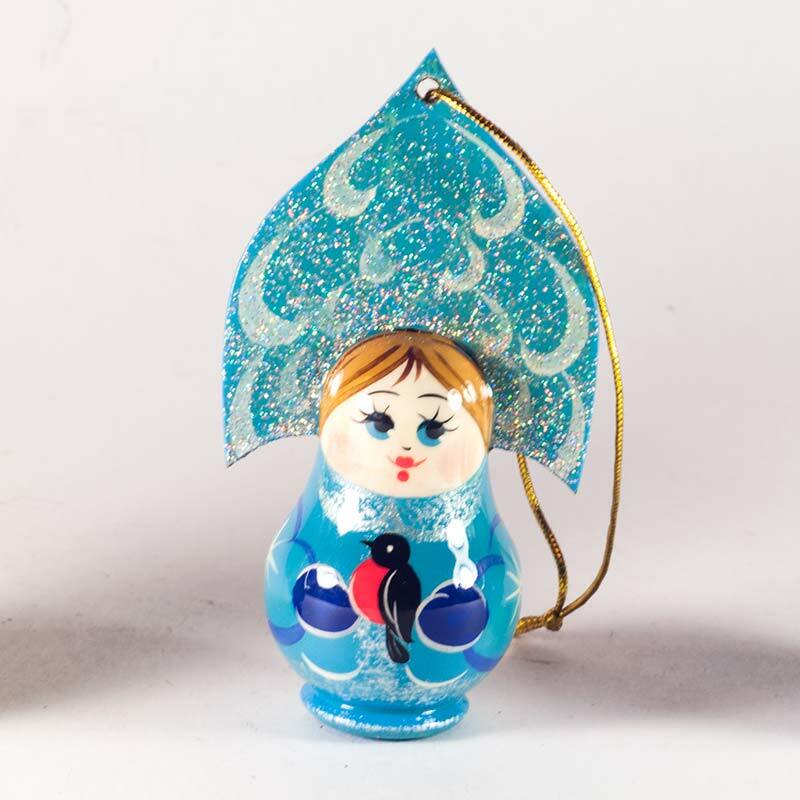 Ornament Doll Snow-Maiden with Bullfinch is made of wood, hand-painted and finished with glossy lacquer. 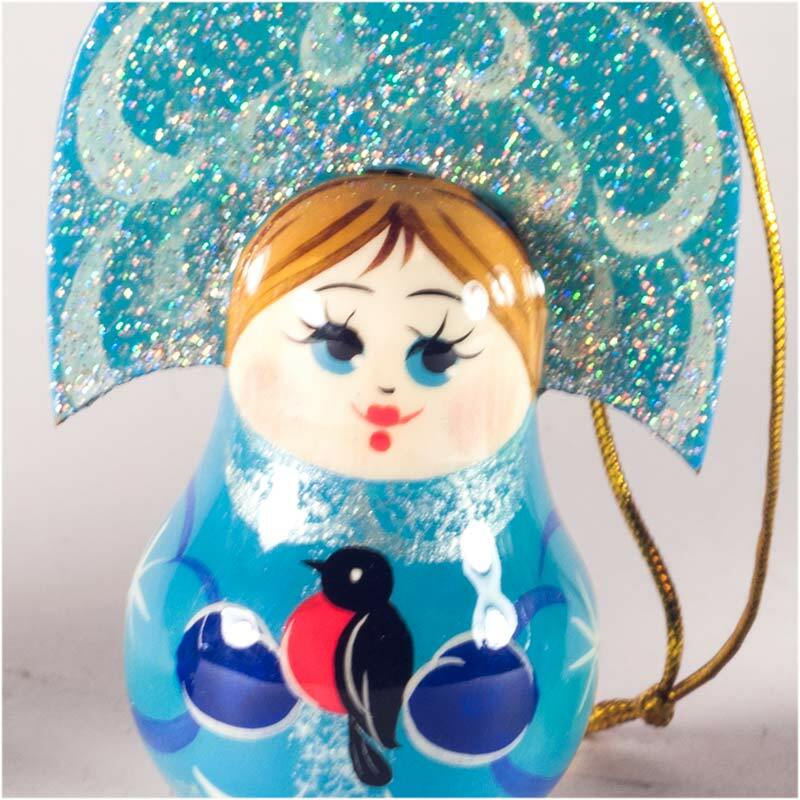 This souvenir RUssian tale personage Snow-Maiden which is holding in her hands the bullfinch. 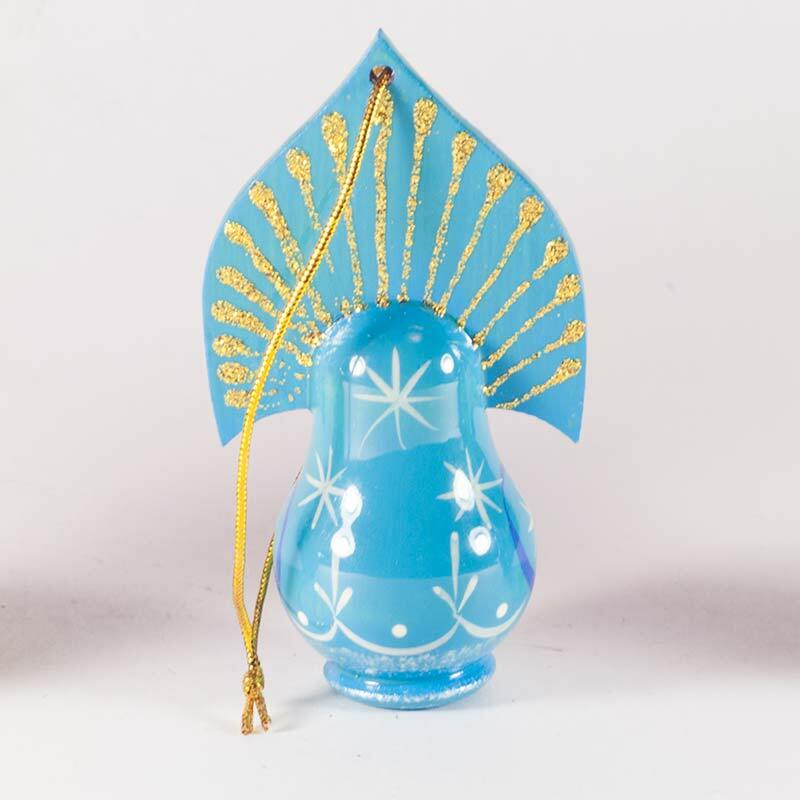 As you can see at the pictures the dolls is painted with much details and look really very festive.